Vermont Division of Motor Vehicles is authorized to oversee legal and financial matters concerned with motor vehicles. The department provides services to the public across the State of Vermont with various offices at different locations. It has also launched an online portal to facilitate users with matters concerning their motor vehicles. Vermont DMV offices can be found in the above listings. The website provides easy access to a number of important services like registration, renewal or duplication of vehicle’s registration, Driver’s license reinstatement fee payment and registration for motorcycle driving course, International Registration Plan permits, International Fuel Tax Agreement filings, etc. Registration for number plates, vehicles and titles can also be requested online. 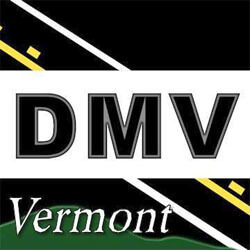 Vermont DMV is authorized to issue and register driver licenses, permits and ID cards. A driver’s license can be a Graduated License or a Commercial Driver’s License. For the issuance of these papers, fee payment or requests for any change can be made through the online web service. Vermont DMV is authorized to issue learner’s permits, Junior and Teenager Licenses, Driver’s Privilege Cards and Real IDs. Allotment of Benefits and handling suspensions also comes under the jurisdiction of Vermont DMV. The department also provides manuals, forms and publications on the website to file for requests, help in research and assist in learning the procedures. The forms that are available online include Dealer Forms, Inspection Station Forms, License and Permit Forms, Forms to apply for registration, title, tax and license plates. The manual includes a Commercial Driving License manual, IRP and IFTA manual and a School Bus manual to name a few. Another important feature of the Vermont DMV website serves is that it serves to raise awareness regarding safe driving and regulations. The Motor Carrier Safety Regulations manual is uploaded on the website to clarity the rule to the users. The virtual mapping tool to find locations of websites is also very handy to search for the nearest office and make appointments beforehand.